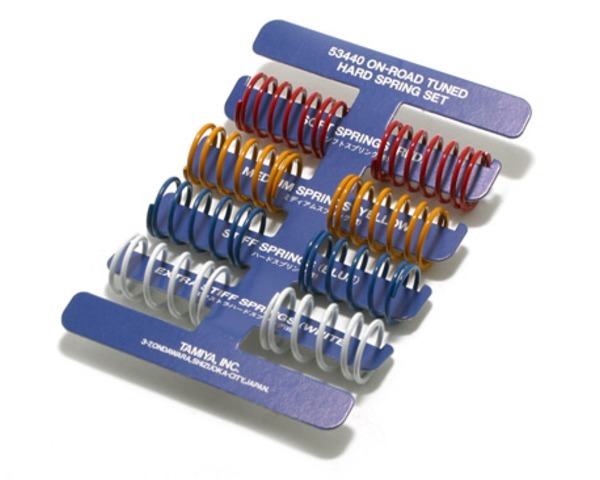 This is an on-road tuned hard spring set from Tamiya. Features eight color coded springs. Soft, medium, stiff,and extra stiff spring tensions. These springs are ideal for high speed racing. This spring set will fit the following shocks.